Red Gel nail polish. Selection of red gel nail polishes that cure under a UV or LED lamp. Be on fire with Red Shellac, Red Creative Play UV. Creative Play Gel Polish - Revelry Red #486 Creative Play UV Polish is a new generation of gel polish. Creative Play Gel Polish - See You In Sienna #463 Creative Play UV Polish is a new generation of gel polish. Creative Play Gel Polish - Persimmon Ality #419 Creative Play UV Polish is a new generation of gel polish. Creative Play Gel Polish - On a Dare #413 Creative Play UV Polish is a new generation of gel polish. Creative Play Gel Polish - Well Red #411 Creative Play gel Polish is a new generation of gel polish. Creative Play Gel Polish - Hottie Tomattie #453 Creative Play gel Polish is a new generation of gel polish. Gelish UV gel polish in color Danced and Sang-ria.Matadora Collection - Fall 2017 UV gel polish lasting up to 3 weeks. Gelish UV gel polish in color All Tango-d UP.Matadora Collection - Fall 2017 UV gel polish lasting up to 3 weeks. Gelish UV gel polish in color Don't Break my Corazon.Matadora Collection - Fall 2017 UV gel polish lasting up to 3 weeks. 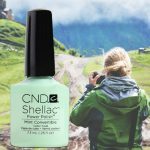 Shellac polish color Ripe Guava is a UV nail polish that last over 14 days. Collection for Summer 2017. The color is an opaque pink red. The brush is flat for an easier application. 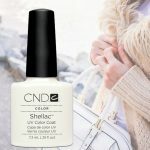 Shellac polish in red color Hand Fired is a UV gel nail polish that last over 14 days. Collection Craft Culture for Fall 2016. The color is opaque with glitters. The brush is flat for an easier application. 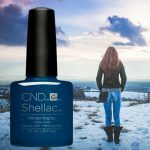 Shellac gel nail polish in red color Brick Knit is a UV gel nail polish that last over 14 days. Collection Craft Culture for Fall 2016. The color is opaque. The brush is flat for an easier application. Shellac gel polish in red color Oxblood is a UV gel nail polish that last over 14 days. Collection Craft Culture for Fall 2016. The color is opaque. The brush is flat for an easier application. Red Shellac gel nail Polish Tartan Punk is a UV gel nail polish that last over 14 days. Contradictions Collection Fall 2015. The color is opaque. The brush is flat for an easier application. Red Shellac Rouge Rite is a UV gel nail polish that last over 14 days. Contradictions Collection. The bottle color fits perfectly with the color once the nails are painted. The color is opaque. The brush is flat for an easier application.